Preparation of Large Infrastructure Projects Full Application Forms (FAFs) is ongoing since the approval of Project Summary Forms by the European Commission on 21 March 2017. Deadline for submission of FAFs is set for 4th September. Active informational activities to assist the Applicants and partners of Large Infrastructure Projects (LIPs) in elaboration of project Full Application Forms started. 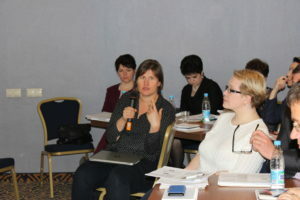 Seminar held on 19 April in Pskov (Russia) for the stakeholders of LIPs assembled about 40 applicants and partners from Estonia and Russia to discuss essential topics concerning preparation of the applications. 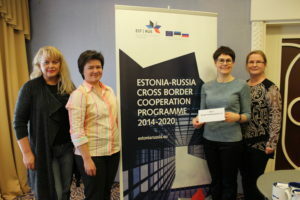 Joint Technical Secretariat introduced the audience with the Programme requirements for submission of FAFs and after the seminar provided individual consultations for Applicants and partners of LIPs of the Estonia-Russia CBC Programme 2014-2020. Please visit the photo gallery of event. To support the preparation process several on-spot consultations have been provided by the JTS on projects request in Narva, Estonia as well in Pskov and Moscow, Russia. Updated Guidelines for Large Infrastructure Projects Applicants of the Estonia-Russia CBC Programme 2014-2020 and elaborated Communication and Visibility Guidelines are available on Programme website.